Magic. | Everything is art/work. 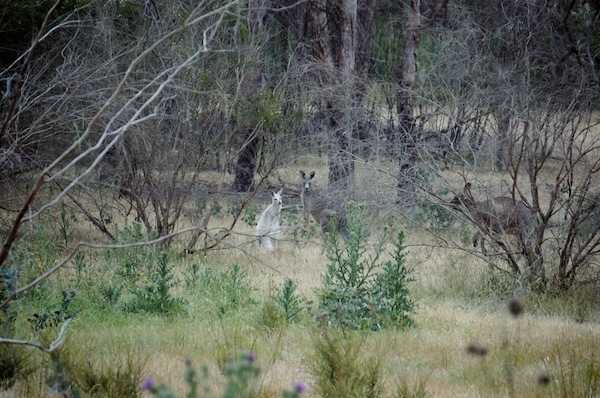 Wandering around Warrandyte I saw a huge mob of kangaroos. I thought I was seeing things as he/she bounded off. But no. When I went back, he/she was there again. He/she still drinks from mum. Something from a story book. 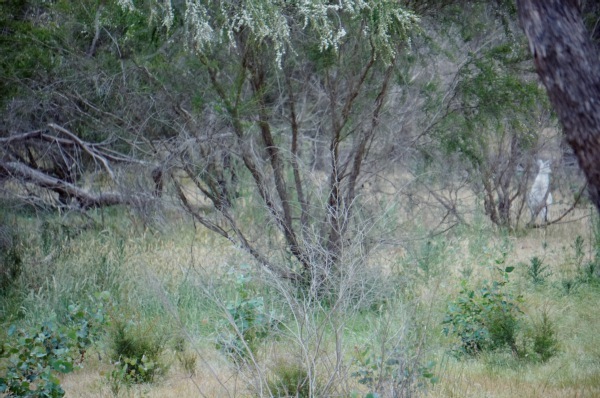 An albino kangaroo is very rare. Bruny Island has many an albino wallaby. One of the key reasons they’re so rare is that they often die due to cancers. Lets hope this little fella has a good life, whatever length it may be.